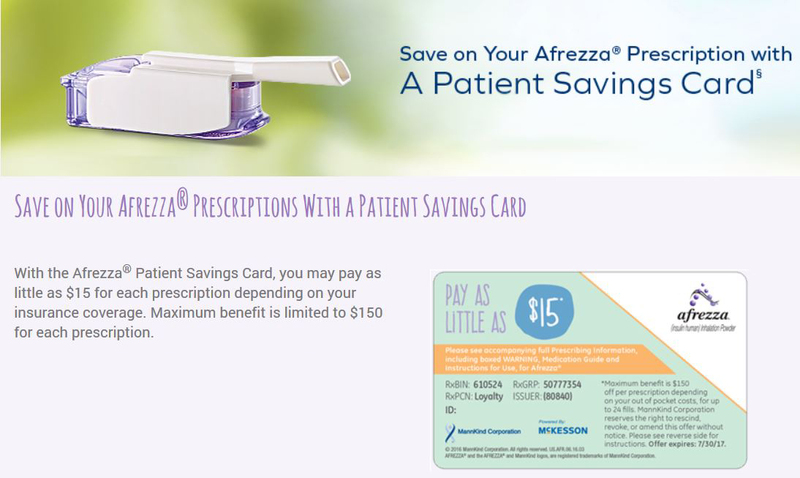 Afrezza is BACK! After Sanofi terminated its marketing partnership with MannKind, MannKind has relaunched its fast-acting inhalable insulin, Afrezza, as reported in DiaTribe.org on 30 August, 2016. I, for one, couldn’t be happier and more relieved. my bg runs and seems to stay high, despite having taken the best calculated bolus. Afrezza seems to help my bg’s come back down and then it just levels off. It feels miraculous! I’ve eaten a heavy-carb meal and I know that my bolus just will have difficulty keeping up with it. Afrezza seems to round off the spike and bring my bg’s back down gently. An amazing management tool for me! Are there side effects or concerns? Yes, definitely. Afrezza can cause an irritating little cough and feel uncomfortable on the inhale. I try to remember to sip water before inhaling and I inhale slowly. Seems to help. Long term warnings include breathing problems and a small risk of lung cancer. But I don’t use it every day so I feel I have downplayed my risks. Afrezza is an ultra-rapid-acting insulin for people with type 1 and 2 diabetes, peaking in only 16-21 minutes versus about 60-90 minutes for current injected rapid-acting insulins – that’s a big difference! It lasts two-to-three hours less than other rapid-acting insulins. This is an important advantage for a mealtime insulin – fast-in, fast-out ensures the insulin covers food quickly, without lingering and causing delayed low blood sugar. Going forward, MannKind will sell and market the product directly, and offer added programs to make it easier to get and use. Want to know more about this fascinating company? MannKind Corporation, a biopharmaceutical company focused on the discovery, development and commercialization of therapeutic products for patients.